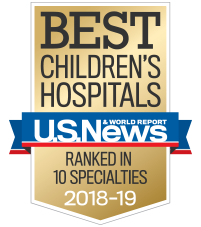 Established in March 2016, the Behavioral Health Provider Education Initiative at Children’s Healthcare of Atlanta aims to educate healthcare providers on behavioral and mental health issues within the pediatric population. By equipping physicians with proper educational tools and resources that directly impact children, the goal of the initiative is to improve the quality of care provided to patients in our community by providing the educational tools and resources. Approximately 25 percent of our primary care providers’ patients have behavioral and mental health concerns. These concerns span all demographics and are estimated to touch the lives of more than a hundred thousand kids in Georgia. Studies have shown that early detection, assessment and intervention in patients who exhibit behavioral and mental health concerns can impact future outcomes. Thanks to the generous support of our donors, such as Friends and Children's 1998 Society, this initiative has steadily grown. Behavioral health provider advice line: A non-emergency advice line open from noon to 4 p.m. Monday through Friday. The call center is staffed by a psychiatric advanced practice nurse. Providers are encouraged to use this line to discuss unidentified behavioral health-related patient care questions. Callers who contact us outside these hours are invited to leave a message. Calls will be returned during program hours. Project ECHO:This program will revolutionize medical education and exponentially increase workforce capacity to provide best practice specialty care and reduce health disparities. The heart of the ECHO model is its hub-and-spoke knowledge sharing networks, led by expert teams who use multi-point video conferencing to conduct virtual clinics with community providers. Project ECHO allows primary care doctors, advanced practice providers, nurses and other clinicians to learn how to provide excellent behavioral health care to patients in their own communities. Symposium: The committee is leading efforts in behavioral health to make kids better today and healthier tomorrow. We offer multiple educational opportunities throughout the year on pertinent behavioral health topics. Primary and community providers are integral in developing curriculum topics. Faculty providing the education come from multiple disciplines, including psychiatry, psychology, social work, governmental agencies and more. Watch the videos below to learn more about youth depression.